You want to use your Google Nexus 7, iPad Mini oder Galaxy Tab (7) together with your Camera? 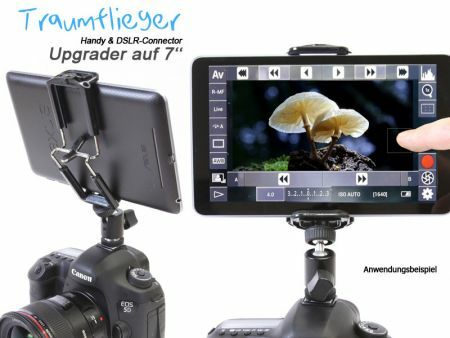 No problem, buy a Handy & DSLR Connector (Base or Pro Version) und make the upgrade with this Upgrader to 7''-Tablets! 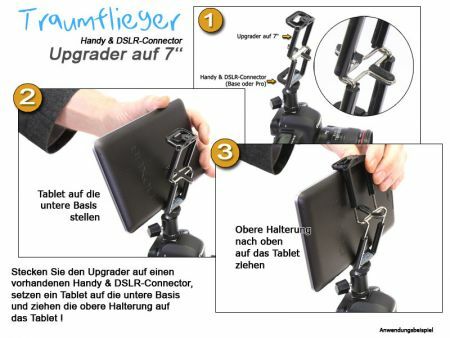 Now you can mount your Tablet directly on your Camera or a Tripod! Put it simply additionally on top of it. Then pull the upgrader above your Tablet! If you like to use your Canon DSLR with an 7''-Tablet, we recommend the android-APP DSLR-Controller! 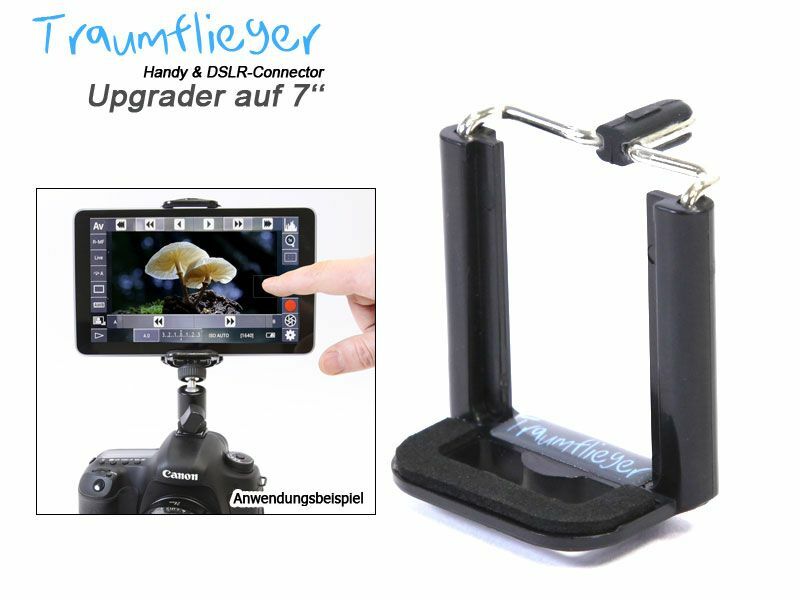 This Product was added to our catalogue on Tuesday 06 November, 2012.